Parliamentary representative for St James Central, Kerrie Symmonds of Barbados has said that the Medical Services Development Act is the way forward. He offered this suggestion while addressing the House on a money resolution for $25 million for the Queen Elizabeth Hospital. In his 2013 Budget, Minister of Finance, Christopher Sincklair announced cuts to the Queen Elizabeth Hospital, even while distributors said that they would not be dispensing drugs to the hospital until it paid its debts to the various distributors. Since then, the Minister of Health, the Hon. John Boyce has said that a new hospital will be built; that attempts would be made to honour the debts to their distributors and that service excellence to the patients would not be compromised. The St James Central MP emphasized that there is a need to enact a piece of legislation which the opposition benches would be happy to support. “The Minister of International Business, the Hon. Donville Inniss, understands that this is a low hanging fruit. There is a need for us in Barbados to be able to export to the rest of the region and indeed to the wider hemisphere that which we do best. Among the things that we have done best is to provide quality health care. It is Barbados that has sent nurses all around the world. 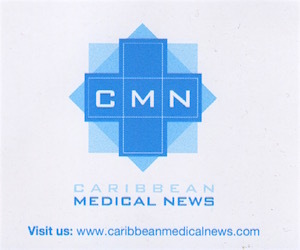 It is Barbados that has had doctors practising all through the Eastern Caribbean. It is Barbados that people from around the Eastern Caribbean have come to be trained at this country’s hospital, which is a teaching hospital as well. This is what makes the tragedy worse because it is a teaching hospital that is being run to ruin. On top of that there are people who come from all around the world to get care here at the QEH,” Symmonds added. 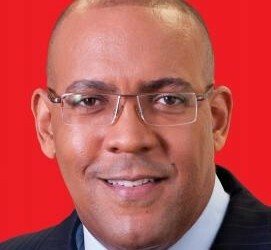 Symmonds said, “We do not just claim it as the Barbados Labour Party’s, but we urge the government to embrace the concept. If the Minister of Health acknowledges that he has been looking at a $15 flat charge across the board for people using the hospital services, they would have to understand that the way we have understood the QEH to function in the past will not be happening in 2016, however hard we may wish it to be”, said Symmonds. “So we now have to look at ways in which we can find an attractive regime for people with capital to come and set up medical health services in Barbados that will support the work of the principal health institution which is the Queen Elizabeth Hospital. We have to do that, but it just would not happen so. You are going to have to build out regime and give it a legislative framework so that people the world over would buy into the project,” he added. “They (the government of Barbados) asked for suggestions, they ask for ideas and we say that these are the things that you should be doing..we go further. It is necessary, in a serious Barbados in 2013, to look at what will be happening in 2014, 2015 and 2016. I now say to this country when the New Year turns we should be looking to every Barbadian having health insurance. “It should not be something for everyone to have, but a central objective that in 2014 we should be drilling it into the head of everybody who has a job and who have a realistic objective of keeping their job, that they need to have health insurance so as to help offset the cost of health care that is being offered by central government when we know that it is collapsing under the strain of doing it,” Symmonds concluded.